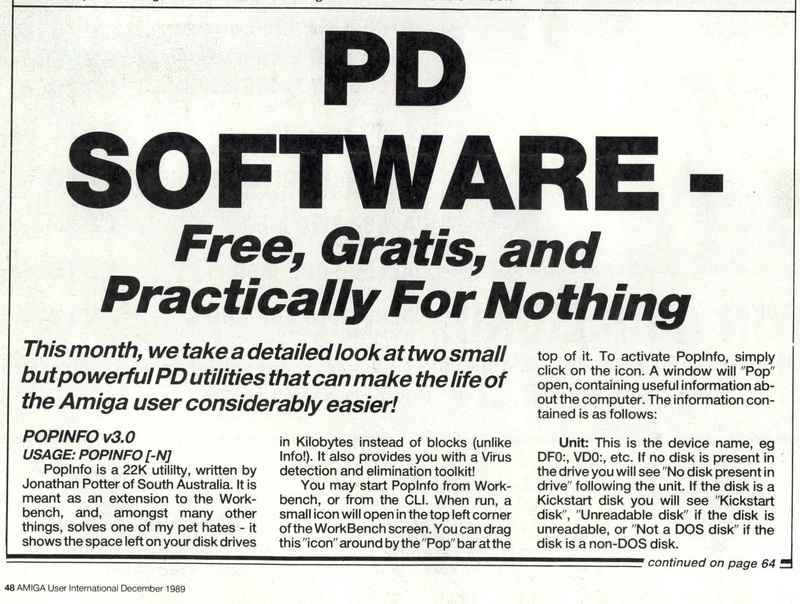 My monthly articles on PD (Public Domain) and shareware software had become a popular regular feature over the latter half of 1988, so much so that they were regularly listed in the contents under the Constant Factors section. 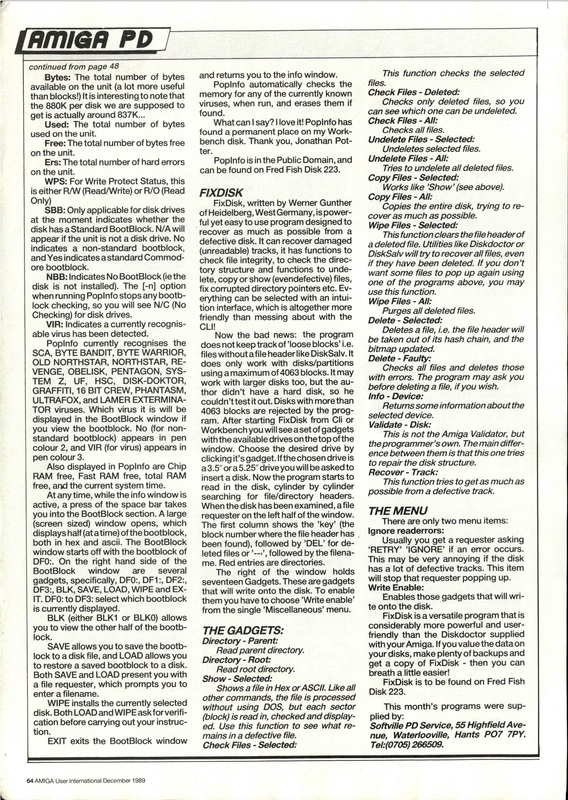 The software I reviewed was often supplied by PD/shareware libraries who sold compilation discs of programs, without charging for the software (which would be against the principles of the Public Domain and shareware developers) but making a charge for the materials and service involved in distributing such things on floppy disc in an era where you either had to download such software from bulletin boards (and relatively few people did this), swap programs with a friend, or buy from a PD Library. This article took a close look at two small but powerful utilities supplied by Softville PD Service of Waterlooville, Hampshire, England.